Learn how to pick up three exclusive issues at the convention! New York Comic Con 2018 is nearly upon us! And if you're headed to the convention this year, you won't just be there for the latest Marvel news, stage events, and panels—you can also get some free merch along the way! If you visit the Marvel Fanfare panel, the Marvel Comics: Next Big Thing panel, or the Marvel Comics: X-Men panel, you'll receive exclusive New York Comic Con variant issues by some of the greatest artists in the universe! Start your collection of exclusive variants on Saturday, October 5, at the Marvel Fanfare panel in Room 1A10 at 12:15! In an exclusive one-on-one interview, freshly-minted Editor-in-Chief C.B. Cebulski will talk about anything and everything involved in what's next for Marvel. Want to know what the future holds for Marvel's mutants? Dying to find out how Spider-Geddon ends? What does Forbush Man really look like without his helmet? Ask C.B. these questions and more in the Q&A! 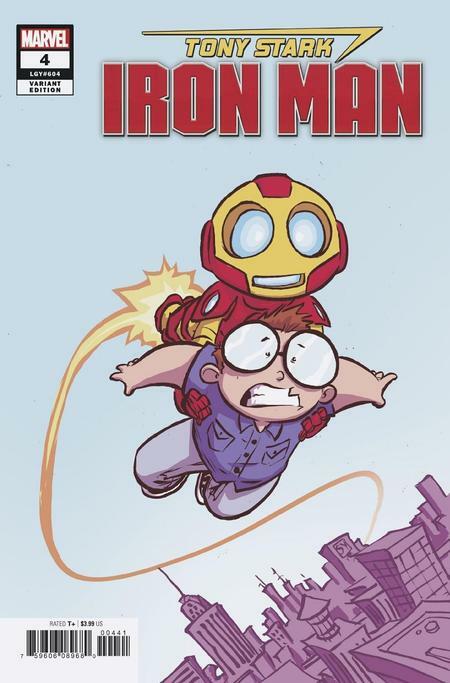 Then, grab your issue of TONY STARK: IRON MAN #5 with a cover by Skottie Young! Then, later on Saturday, visit the Marvel Comics: Next Big Thing panel on the Main Stage 1D at 4:30 for the next free variant in your merch bag! At the Marvel Comics: Next Big Thing panel, Editor-in-Chief C.B. Cebulski can't wait to tell you all about the monumental events on the horizon for the Marvel Universe! Industry luminaries Jason Aaron , Donny Cates, Gerry Duggan, and Dan Slott have incredible new stories in store for your favorite characters, and this is the place to hear about them first! 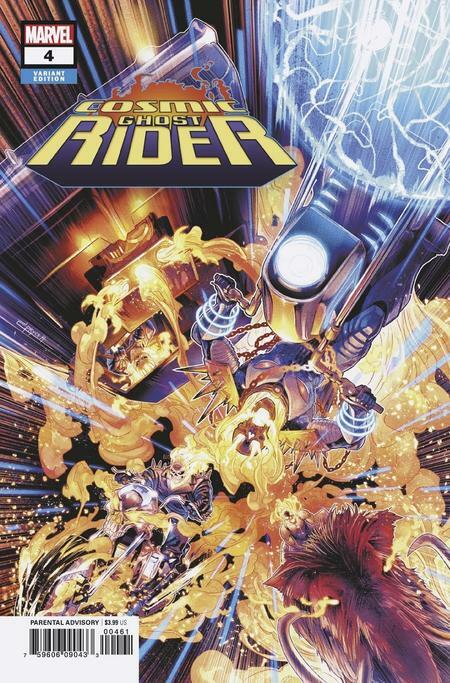 Then pick up a free issue of COSMIC GHOST RIDER #4 with a cover by Jamal Campbell! After that, visit the Marvel Comics: X-Men panel on Sunday in Room 1A10 at 11:00 for the final free NYCC exclusive variant issue! X-Traordinary things are in store for Marvel's Merry Mutants! Editor X the X-Treme (AKA Jordan White) is joined by superhuman talents Ed Brisson, Sina Grace, Matthew Rosenberg, Charles Soule, and Leah Williams for a fun-filled forum. The current X-Men teams unite this November under one uncanny banner! Wolverine has returned under mysterious circumstances, but his aged counterpart might not be so lucky! All this, and Iceman reunited with his Amazing Friends! 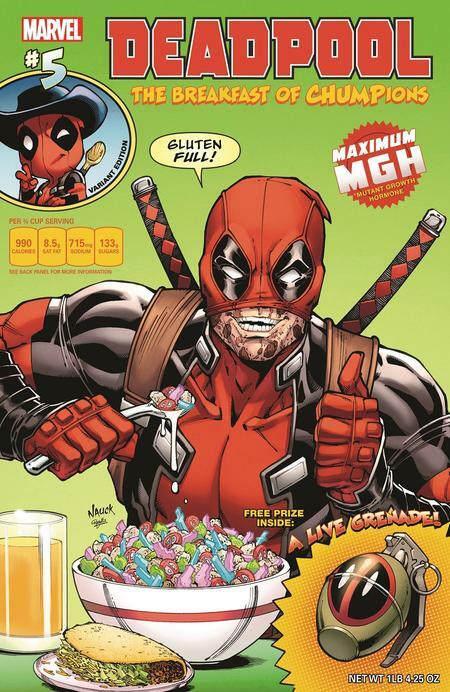 Then get your hands on an free issue of DEADPOOL #5 with a cover by Todd Nauck! Read through Marvel's full NYCC 2018 panel schedule here! We'll see you in New York!